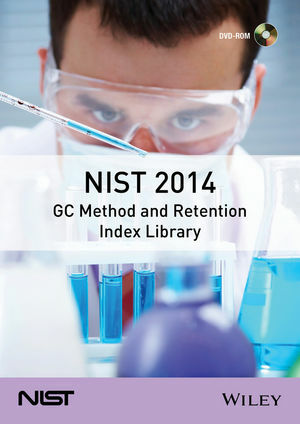 The NIST GC Method and Retention Index Database and its accompanying program, nistmsri.exe, provide retention index data and gas chromatographic conditions for 82,868 compounds on packed and open tubular columns using polar and non-polar stationary phases. The database contains a total of 387,463 citations (retention index values and GC methods). Each citation contains the complete bibliographical information and title of the research paper it was taken from. Details of the gas chromatographic method used to obtain the retention index are also provided. If a compound is in the NIST/EPA/NIH Mass Spectral Database (NIST14), it is noted as such in the text information provided about the compound. There are 56,216 such compounds. Data can be retrieved through an incremental name search, a CAS RN search, a MW search, a formula search, or a structure similarity search. The search structure may be entered from a mol/SDfile or from the Windows clipboard. In addition, the database can be searched by multiple variables that can be used to constrain the above-mentioned searches. Produced by the NIST (National Institute of Standards and Technology) Mass Spectral Data Center, a Group in the Biomolecular Measurement Division (BMD), develops evaluated mass spectral libraries and provides related software tools. These products are intended to assist compound identification by providing reference mass spectra for GC/MS (by electron ionization) and LC-MS/MS (by tandem mass spectrometry) as well as gas phase retention indices for GC. The Center is located on the NIST main campus in Gaithersburg, MD. Compound Search provides researchers with a rapid and easily searchable database of compounds that are covered by most commercially available spectra databases from Wiley and NIST. Users can search by name, synonym, structure, InChI, InChI key, molecular formula, nominal mass, or exact mass. The database is a concordance of Wiley's spectral databases, the NIST/EPA/NIH mass spectral library, and the Cheminform reactions database (CIRX).